Hugh Martin's second full-length poetry collection moves within and among history to broaden and complicate our understanding of war. These poems push beyond tidy generalizations and easy moralizing as they explore the complex, often tense relationships between U.S. soldiers and Iraqi civilians. The speaker journeys through training to deployment and back again, returning home to reflect on the soldiers and civilians--both memories and ghosts--left behind. 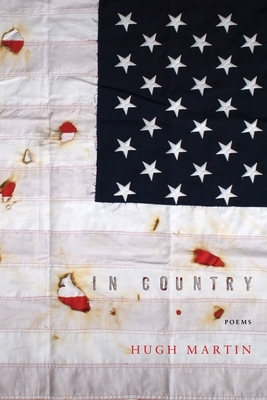 Filled with recollected dialogue and true-to-life encounters, these poems question, deconstruct, examine, and reintegrate the myths and realities of service. Hugh Martin grew up in northeast Ohio and served six years in the Army National Guard as an M1A1 Tanker. A veteran of the Iraq War, Hugh is the author of In Country (BOA Editions, 2018), The Stick Soldiers (BOA Editions, 2013, winner of the A. Poulin, Jr. Poetry Prize) and So, How Was the War (Kent State University Press, 2010). He carries degrees from Muskingum University and Arizona State University. A recipient of a Wallace Stegner Fellowship from Stanford University, a Sewanee Writers' Conference Fellowship, and a Yaddo Residency, he was the inaugural winner of the Iowa Review Jeff Sharlet Award for Veterans. His essays and poetry have appeared in PBS NewsHour, The New Yorker, The New York Times, Grantland, American Poetry Review, and The Kenyon Review. He was the 2014-15 Emerging Writer Lecturer at Gettysburg College and is currently teaching at Ohio University where he's completing a Ph.D in creative writing.